In the past week I have overhead several conversations where an individual has announced they decided to obtain their Louisiana Real Estate license or shared that they are a new licensed agent. Today I'm going to share my view on why it is important to choose an experienced Realtor who has been in real estate more than one-two years. Real estate is a tricky business that requires constant learning, serious dedication, and a true heart for the people we work with. Lake Charles residents will remember that after Hurricane Rita in 2005 Southwest Louisiana had a housing boom to replace the lost inventory of homes. Along with the rebuilding, came an increase of individuals obtaining real estate licenses during 2005-2006. After the boom settled into a regular real estate pattern, many of the newer Rookie Realtors struggled and thus became inactive. As we enter a New Year in 2015 Lake Charles and Southwest Louisiana is again in the news with economic growth and industry boom in our area. Along with the news of economic growth comes the rise of new Rookie Realtors who hope to benefit from influx of new residents and developers with housing , commercial and land sales. Lawyers, Physicians and several other new field of professionals usually have a mentor in their area of career expertise. An internship under a mentor or teacher is meant to be a time of learning spent with seasoned professionals. No one winds up as a Partner, Chief of Staff, Superintendent or Manager when they begin a new career. Real estate is no different, it takes time to gain experience and learn to be a skilled negotiator. When choosing a real estate professional, you need the voice of experience with many years of insider knowledge on your side. Real estate is one of the most important investments an individual will ever make. Not all Realtors are created equally and its important that you have a good negotiator on your side. Finding an experienced Realtor to "represent" your interests is the greatest resource you have to achieve your real estate goals. If you have a real estate need I would welcome the opportunity to meet with you to discuss your specifics. I have over ten years of real estate experience and invite you to visit my client testimonial page. If you have already bought and sold a home before, then you probably learned a lot about the real estate process. Imagine doing that over 50 times every year. Can you grasp the amount of knowledge you would acquire with each transaction? This is the benefit of having an experienced Lake Charles Realtor. 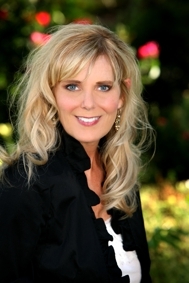 A seasoned Realtor has first hand knowledge from helping hundreds of home buyers and sellers. Real Estate is cyclical meaning there are ups and downs,, times of a boom, times of recession. I have been riding all waves of real estate for the last 10 years and average 35-40 closed transactions a year. I am a Verified Professional Agent. REALTORS can obtain many designations but there is only ONE Verification program which verifies that an agent is: Professional, Trustworthy and Competent. What that means to you as a Lake Charles Home Seller is that I am a full time Real Estate Professional dedicated to selling your home! When a Realtor represents you, it means that they put your interests above their own. They use their knowledge and skills to help you in every way that they can. If a Realtor told you everything that they do behind the scenes, you would get exhausted listening to them. You would probably be bored half way through as well. A good Realtor does a lot of researching, coordinating, communicating, and planning behind the scenes. I don't necessarily talk to my clients about everything that I do because it's not about me. It's about them. I am always accessible and at work for my clients behind the scenes. 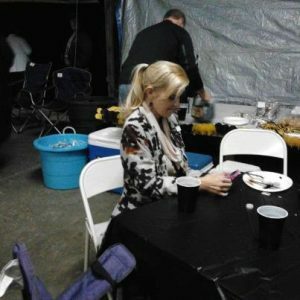 Those who know me can testify that whether I am at a party, special event, or out of town that does not stop me from staying in touch via text or email. My friends have caught me in the act of working "after hours" and on weekends using my negotiation skills texting and emailing! The best agents study the market, learn from mistakes, improve systems, implement technology and strive to be at their best. Do your homework and don't settle for the first Realtor you meet or speak too, or call off a sign which is a common rookie home buyer mistake. Every client has an individual need, Some may need to obtain a comparative market value of their house, others may be relocating to Southwest Louisiana and need to find a house in the next 30 days. Every client's situation is different. They all require special attention to make sure that their needs are met and their expectations are exceeded. If you trust your Realtor's experience and they truly understand your situation, then you know you are in good hands! Realtors are people just like you. We spend a lot of time thinking about consumer needs and how we can better serve our clients. Real estate is the most "local" industry that I can think of. 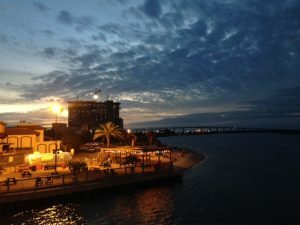 Real estate is all about our area and our beautiful City of Lake Charles . 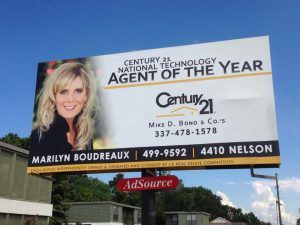 For more information on Buying a Lake Charles Home, or benefits of listing your Lake Charles Home to sell, contact Marilyn Boudreaux, 337-499-9592! December Contracts Can Be February Closings!